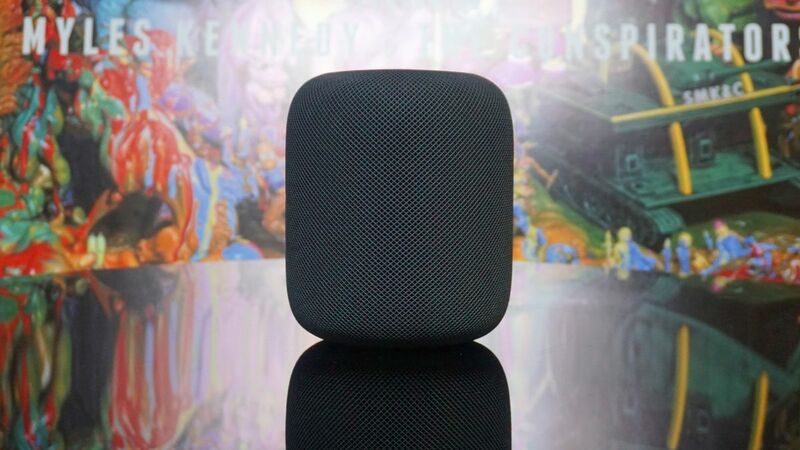 Apple’s long-awaited HomePod 2 smart speaker could sound even better than the original, if new patents granted to the tech company are anything to go by. Apple’s patent for a ‘Multi-listener stereo image array’ describes a system where “multiple people can experience a stereo audio effect, regardless of where they are seated,” according to Apple Insider. In layman’s terms, the patent describes a system that uses multiple drivers and advanced sonic processing to send an audio signal to each person in the room – and each of them will hear the appropriate left and right channel, no matter where they are. Again, sparing you the technical jargon, the patent describes a system that uses an imaging device (i.e. a camera or sensor of some sort) to see where people are located in the room as well as how they’re sitting or standing. The idea, more or less, is that the next HomePod will be able to tell what you’re doing – if you’re lying down, walking closer to the speaker or walking out of the room completely – and change the sound by amplifying or reducing volume, or completely pausing the audio until you come back. Psycho-acoustics are really something, huh? If you’re coming from the world of two-channel sound, this might all sound a bit… implausible. Or at least unlikely to ever be developed. But as crazy as this all sounds, there really are a number of companies working on 3D sound at the moment. Creative has its solution called Super XFI, and Sony has 360 Reality Audio that made its debut at CES 2019, not to mention Dolby Atmos and DTS:X that have been on the market for years. Now, all of these solutions work differently – Creative uses a software solution, Atmos uses upfiring speakers and 360 Sound is both an audio format and a technology. The main takeaway: not only is this possible for Apple, but other companies are already doing something similar. Will all these technologies finally give Apple’s next HomePod the edge on the better-selling Amazon Echo and Google Home? We’ll just have to wait to find out. Have you switched away from Inbox yet?